When using lures (especially soft baits) can cause the line to slacken especialling during the fall down to the bottom. This is a moment a lot of fish strikes but without the angler feeling the bite! 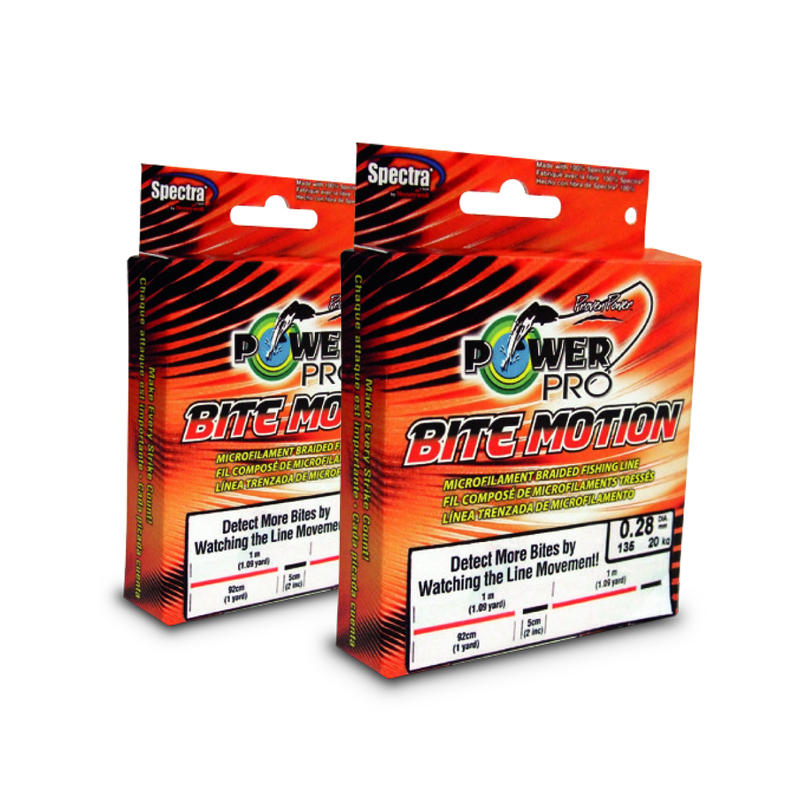 With Powerpro Bite Motion, you can detect these bites by observing the line movement. The black mark works as a strike indicator. These indicator will detect the bite on the fall and you will be able to react quickly! This is extremely important as the fish will release the bait in less than a second.